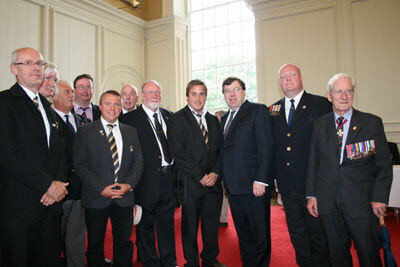 Key members of the Association were honoured on the 12 July 2009 when at the invitation of Councillor Tony McLoughlin, Chairman of Birr Town Council, they were able to meet with Brian Cowen the Taoiseach of Ireland. The meeting took place at the Royal Hospital Kilmainham when Councillor Tony McLoughlin seized the opportunity to promote the discussions that are taking place to bring about the twinning between the two communities of Ledegem (West Flanders) and Birr, County Offaly. Due to unforeseen circumstances the Mayor of Ledegem was unable to be present and the team from Ledegem was led by Mr Nick Soen, the chairman of Heemkring Ledegem. 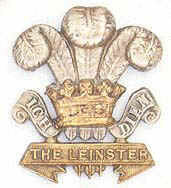 The Association, who were granted the Freedom of Ledegem in October 2008, have been acting as facilitators between the two towns of Ledegem and Birr, the historical home of the Regiment. Both Nick Soen and Councillor McLoughlin thanked the Association for bringing about the opportunity for the historic meeting.